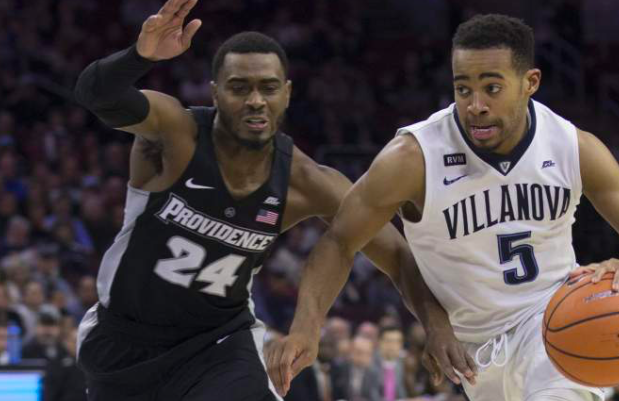 Catch the reaction from a thrilling Big East Championship game between Providence and Villanova. Thank you to all of the Friar Fans that made it to MSG this week. Also thank you to all the Friar Fans around the country watching the games. We have the best fans! MSG felt like the Dunk all week. Excited for the future of our team! Congratulations to @VUCoachJWright and his team for winning the Big East Championship. Proud to be a part of the Big East and to have our conference tournament at Madison Square Garden! Good luck to Villanova and all the other Big East teams in the NCAA tournament. Gus Johnson trending on Twitter. Our lights are split for @NovaMBB & @PCFriarsmbb as they compete for victory in the @BIGEAST Conference 2018 Men’s Basketball Tournament! At the end of the game our lights will shine in the winner’s colors for the rest of the night! Why does everyone want to be at the Garden? Big East sellout every night since quarters. Course it’s also a Big East thing. I’m sitting here with @ajreeves11 and we are going crazy. March madness is the best. Drew Edwards with the and 1. It’s like divine Providence right now. 3 straight BIG EAST OT games for the Friars. This has to be a record.